UPDATE (3/21/2019) – This post has been updated with a comment from the Partnership for New York City. The comment, and our response, can be found at the end of this article. Last week a magazine called City Journal published an article online about the terrorist attack on two mosques in Christchurch, New Zealand denying that the attack was motivated by white supremacy and arguing that the killer’s obsession with Muslim immigration was a “legitimate concern.” This is extremely troubling on its face, but is even more alarming considering that City Journal is not a fringe outlet, but rather is ensconced firmly in the mainstream of New York politics. The magazine is published by the Manhattan Institute, a right-wing think tank that is prominent and influential in New York politics, and is funded and governed by a number of hedge fund managers and key figures in the New York power structure. Through the Manhattan Institute, these influential millionaires and billionaires are normalizing white supremacist and Islamophobic ideology that has inspired right-wing terrorism around the world. [The killer’s manifesto] is, at least in part, an expression of rage about the steady repopulation of Europe by believers in an alien ideology and practitioners of a radically foreign culture—a legitimate concern, though by no means a legitimate excuse for [his] actions. Though his latest screed is especially shocking, City Journal has been publishing Bawer’s Islamophobic pieces for more than 10 years. In January 2018, Bawer wrote an article about “heavy Muslim immigration” in Norway that employed racist imagery of Muslims “pouring” into the country and warned readers about “Muslim reproduction rates.” The piece ends with an anecdote about a library poster depicting “three dark-skinned girls” lamenting that “the shadow that has fallen upon the valley is slowly darkening the rest of Norway.” In November 2017, Bawer castigated George W Bush for being “Islam-apologist-in-chief—a role that Barack Obama gladly inherited.” In May 2017, he wrote that Western politicians concerned with Islamophobia were “enabling murder.” In January 2010, the blog published an article by Bawer defending the Dutch anti-Islamic nationalist politician Geert Wilders. The throughline of Bawer’s writing published by the Manhattan Institute has been the same kind of white supremacist conspiracizing – where Islam is described as an inherently violent religion and non-white immigrants are cast as an invading force bent on eradicating Europeans – that motivated last week’s mass murder. Only the relative polish of Bawer’s work for the mainstream conservative think tank distinguishes it from writings from the fascist fringe. In fact, Bawer’s writings were cited as an inspiration by another Islamophobic and immigration-obsessed mass killer who murdered 77 people in Norway in 2011. 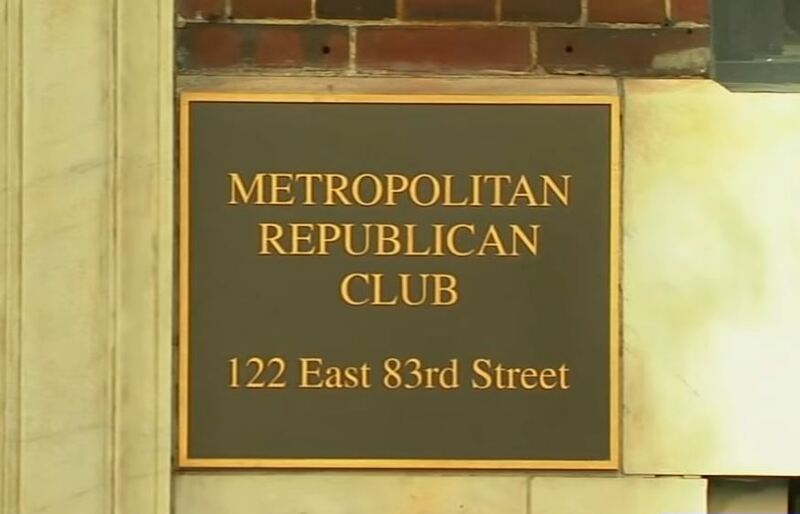 While the Manhattan Institute does have ties to the extreme right – Breitbart and Cambridge Analytica investor Rebekah Mercer sits on its board of trustees and former president Lawrence Mone was an initial board member of Mercer’s group Reclaim New York – it operates in the mainstream of New York’s politics. The board of trustees of the Manhattan Institute is dominated by right-wing hedge fund managers, though it also includes other members at the very heart of New York City’s power structure. 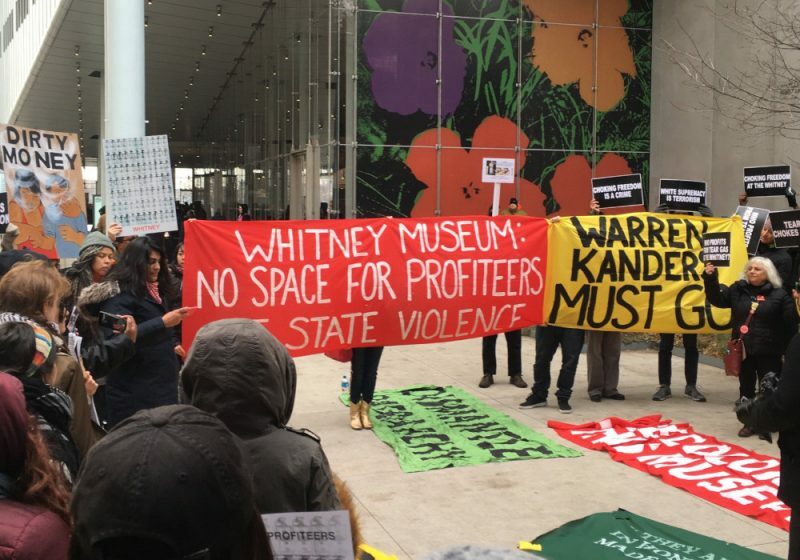 The think tank’s central position in New York politics is perhaps best illustrated by the presence of Partnership for New York City President Kathryn S. Wylde on its board of trustees. The Partnership for New York City is the most powerful business group in New York City, an elite chamber of commerce representing major multinational corporations such as JPMorgan Chase, Pfizer, and IBM, as well as a growing number of private equity firms and hedge funds. As president of the Partnership, Wylde is essentially the voice of big corporations in New York City. 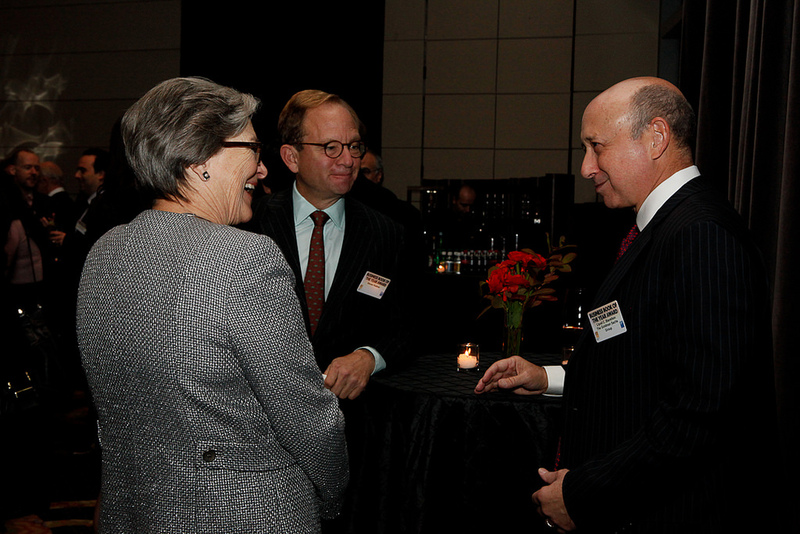 Her continued role on the Manhattan Institute’s board suggests that the corporate members of the Partnership broadly approve of the think tank’s advocacy, including its publication of City Journal. 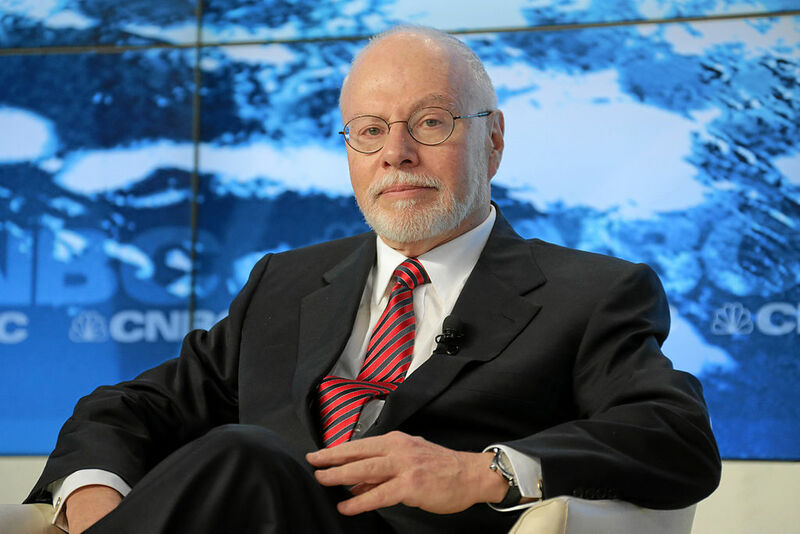 Chief among the hedge fund billionaires on the Manhattan Institute’s board is Elliott Management CEO Paul Singer, its chair and also a member of the City Journal publication committee. One of Singer’s non-profit foundations, the Paul E. Singer Foundation, gave $525,000 to the Manhattan Institute in 2016. Singer is a notorious pioneer of the “vulture investing” strategy, buying up sovereign debt of struggling countries for pennies on the dollar and demanding full payment, driving crushing austerity and the privatization of public goods in the process. Though he opposed Donald Trump in the Republican primary, Singer gave $5,000 to Trump’s transition committee and $1 million to his inauguration committee. Singer also funds organizations agitating for war with Iran, such as the Foundation for Defense of Democracies, to which he had contributed at least $3.6 million by the end of 2011. Paul Singer is a major Republican donor in New York. He has given millions to pro-charter New York super PACs including New Yorkers for a Balanced Albany ($3.5 million), Balance New York ($500,000), and New Yorkers for Independent Action ($200,000). Thomas McInerney and Ravenel Curry, two other hedge fund managers on the Manhattan Institute board of trustees are also prominent New York State charter school backers (in fact, Curry sits on the board of NYC charter group Success Academies), as is Chairman Emeritus Roger Hertog. Walmart heiress Alice Walton, another major charter school backer, does not serve on the Manhattan Institute board, though her family foundation gave $265,000 to the think tank in 2016. Kenneth Garschina, a principal at Mason Capital Management, is another vulture investor who is currently speculating on Puerto Rico’s debt. Garschina’s firm owns more than $907 million in debt from Puerto Rico’s government and its public Employees’ Retirement System. Another Manhattan Institute board member is Bill Kristol, who was the founder and editor of the conservative magazine The Weekly Standard, which shuttered in December 2018. The Weekly Standard was a key mouthpiece supporting the 2003 invasion of Iraq and it published numerous articles falsely connecting Iraq to the September 11th attacks and claiming that Iraq possessed weapons of mass destruction. The magazine also notably published articles denying climate change and opposing gay marriage. Right-wing think tanks like the Manhattan Institute and the money backing them play a critical role in normalizing the Islamophobic rhetoric that incites racist violence. 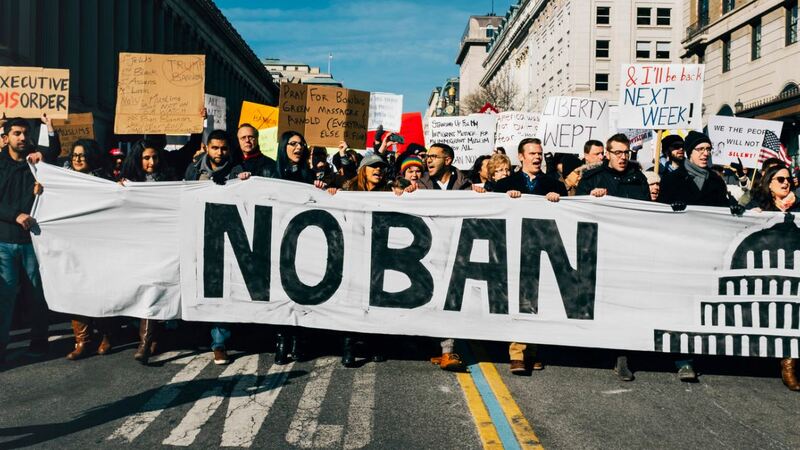 For more than a decade, the Manhattan Institute has been publishing articles by Bruce Bawer that espouse the same “Great Replacement” scaremongering as the terrorist who murdered 50 people as they prayed in New Zealand. The fact that such a horrific act of violence inspired the Manhattan Institute not to repudiate its past extreme anti-Islam writings, but to publish a new article doubling down on racism and sympathizing with the Christchurch shooter illustrates the think tank’s – and by extension, its wealthy funders’ – commitment to violent ideology. The Manhattan Institute Board does not review or endorse opinion pieces published in City Journal, so Galbraith’s suggestion otherwise is just wrong. Kathryn Wylde has been associated with MI for two decades and seen no evidence of racism or Islamophobia, or she would have resigned. Free speech and diversity of opinion are valued in New York City, but we know where the line is drawn. Remarkably, the Partnership for New City is arguing that Bawer’s screeds are not Islamophobic or racist. Never mind that Bawer espouses the same Great Replacement conspiracies as the Christchurch murderer, consistently dehumanizes Muslims as “alien,” refers to immigrants as a “shadow” that is “slowly darkening the rest of Norway,” and has for years been granted a platform by the Manhattan Institute to say these things – Wylde has “seen no evidence of racism or Islamophobia, or she would have resigned.” They know where the line is, they tell us, and nothing the Manhattan Institute has done over the years has crossed it, not even this piece. Where, then, is the line? They could have distanced themselves from Bawer’s hateful rhetoric. Instead, they doubled down and insisted that there was nothing wrong. The statement’s opening is a straw man – we never said that that the Manhattan Institute board reviewed City Journal articles. But it is interesting that now that Wylde has had the opportunity to reflect on the piece, she does not take issue with a writer seeking to legitimize the racist ideology that motivated an act of heinous violence. It is a truly shocking statement from the voice of big business in New York City. Why are NYC Republican Elites Enabling Far-Right Violence?